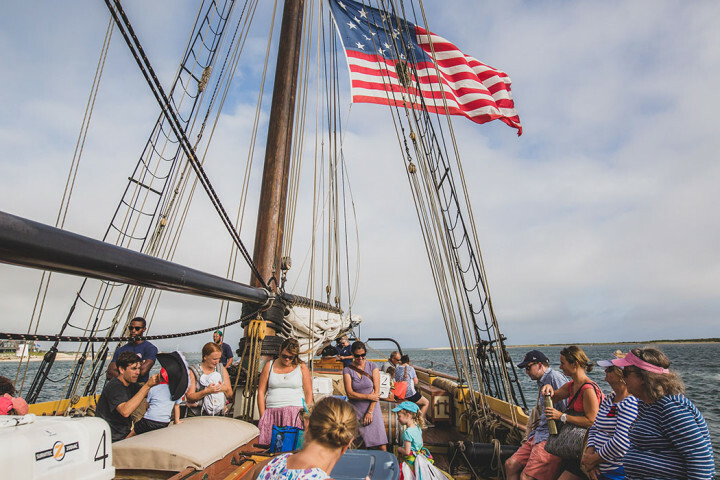 The mission of Egan Maritime Institute is to inspire the appreciation and preservation of Nantucket's maritime culture and sea-faring legacy. 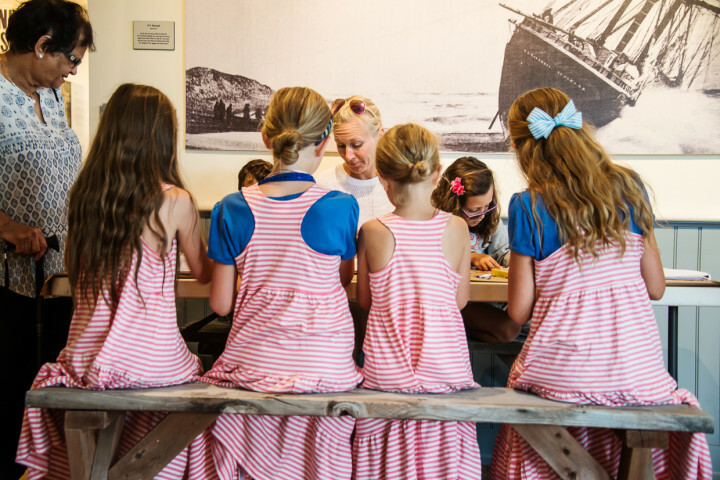 Nantucket's Egan Maritime Institute envisions a future in which the island's sea-faring legacy is preserved, protected and embraced by future generations. 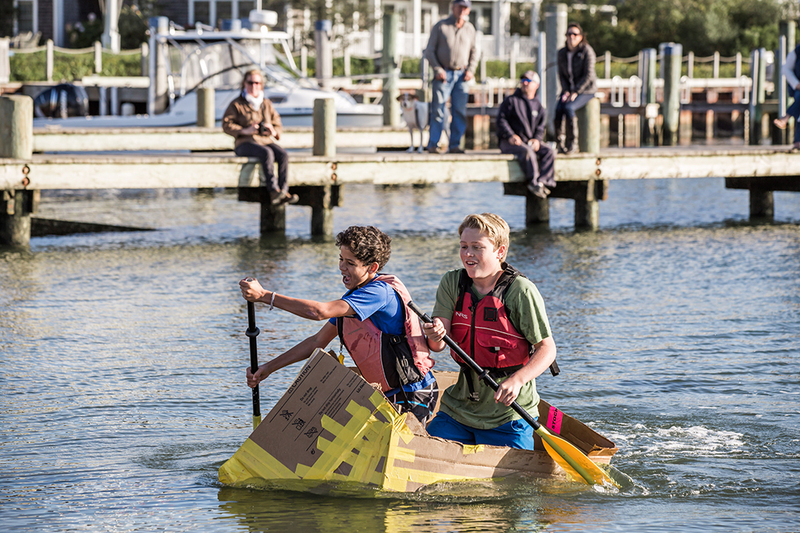 Egan Maritime Institute is a non-profit organization which celebrates the rich maritime history of Nantucket Island. Egan Maritime took shape when Nantucket native Albert F. "Bud" Egan, Jr. and his wife Dorothy H. Egan created a foundation in 1989 to highlight the island’s sea-faring heritage. In 1992, Bud negotiated a lease with the Trustees of the Coffin School. He housed his family’s extensive maritime art and artifacts collection in the school, incorporated the eight-year-old Mill Hill Press and named National Book Award winner, Nat Philbrick, as the Egan Foundation’s first executive director. Since then, Egan Maritime has worked with on-island and off-island organizations to present a calendar of enlightening and entertaining programs to enhance your experience on the island. These programs include publications through Mill Hill Press, annual exhibits at the Shipwreck & Lifesaving Museum, up-to-date weather, and wind and tide reports via ACKweather.com, guest speakers, films, art exhibits and concerts and, in the summer of 2013, the launch of Sea of Opportunities, an education program for Nantucket's students. Pauline joined Egan July 2012 after spending many years at Nantucket Public Schools as the Executive Director for the Nantucket Community School. During her tenure there she first served as their Outreach Coordinator for six years, then stepped up to Interim Director for five months before being promoted to Executive Director in 2008. Prior to that, she worked in various capacities for the Nantucket AIDS Network for seven years. A native of the United Kingdom, Proch immigrated to America in 1982 as the General Manager for the ARC Corporation in New York City. She has lived on Nantucket since 1988. Michelle first joined the staff of Egan Maritime in September 2007 as the Capital Campaign Assistant after completing her studies at the American University of Paris, France. She worked for Egan Maritime through the expansion and rebranding of the Nantucket Shipwreck & Lifesaving Museum. Since then Michelle has continued working with Nantucket’s cultural organizations, focusing on fundraising and brand development. She returned to Egan Maritime in October 2016 after spending three years with Artists Association of Nantucket as the Director of Development. During her tenure there Michelle coordinated the campaign for Nantucket’s first Visual Arts Center, grew contributed revenue streams through special events and annual giving, and harnessed the organization’s mission and image to better enhance its brand. Prior to that, she spent three years with the Nantucket Historical Association as their Senior Advancement Coordinator and successfully grew membership through unique programming and outreach. Michelle is a 12th generation Nantucket native and is delighted to live on the island while serving its community. Amanda joined Egan Maritime in June of 2015 after completing her doctoral studies at Boston College. The science practice of argumentation is at the heart of her research agenda from which she has explored the development of teacher knowledge, learning progressions, psychometrically based formative assessments, and intersections between science and literacy. Additionally, during the 2014-2015 academic year, she concurrently worked within Boston Public Schools as the Assistant Director of Research & Development, K-12 Science, Technology, & Engineering. Prior to beginning her doctorate studies she taught high school and undergraduate chemistry for nine years and served as the high school science department chair for the latter four years. Chuck has been an interpreter at the Museum since 2014. Before that, for five years he was at the Whaling Museum where he was a Senior Interpreter. An international banker for 25 years, he spent most of his adult life in Asia, including during his service in the Navy. Chuck earned a BA and MA at San Jose State University and then headed to the University of California, Santa Barbara for a Ph.D. in Asian history. He spent several years in Taiwan and Hongkong on research and Chinese language study, taught at The Chinese University of Hong Kong and the University of Maryland international program in Taiwan before returning to the US. Enrolling at Thunderbird, Chuck received a masters in international management. He then held senior executive banking positions with US-based banks in Asia before retiring in the mid-1990s to Nantucket, the family’s summer residence from 1982. Active on Nantucket, Chuck volunteered for several non-profits, operated a retail store, and taught online university courses in history and international finance. He is currently in the midst of a Certificate Program in Museum Studies at Northwestern. Evan recently joined Egan Maritime Institute as the Manager of Maritime Education in the spring of 2018. Evan has a professional background teaching at both the primary and secondary levels and holds a Master of Arts in Teaching with a specialization in secondary social studies from Quinnipiac University. Evan has vacationed on the island for many years and moved to Nantucket full time two years ago when he met his lovely wife who was born and raised on the island. Evan is an avid fisherman and musician with a deep love for the ocean and the rich history that surrounds Nantucket. He is thrilled to share these passions with locals and visitors alike through his new role as education manager. Catherine joined Egan Maritime in June of 2017. She moved to the island in 1987 from Boston to be the first HR Director/Personnel Officer for Nantucket Bank. Since then she has held several positions in island businesses two of which were Branch Manager for Pacific National Bank, and Assistant Branch Manager for Cape Cod Five Cents Savings Bank. Catherine also spent many years fundraising, marketing and volunteering on behalf of many island non- profit organizations as an active Board member. A few of those organizations are: Nantucket AIDS Network, founding Board Member and later Program Director; Nantucket Arts Council, Board of Directors; Town of Nantucket, Personnel Board; and Artists Association of Nantucket. Now in her position with Egan Maritime Institute Catherine manages all of the day to day operations of the office. She loves living here and chose to make the island home for herself and her daughter. Catherine plans to continue her life on this beautiful island where the wind and fog reign thirty miles out to sea. Olivia joined Egan Maritime Institute in April of 2018. She grew up coming to Nantucket every summer with her family; the island is deeply rooted in her upbringing as she conquered some significant milestones on Nantucket, including learning to walk, learning to ride a bike, and realizing that seafood can actually be good! She came to the island in August of 2017, accepting an offer to work as a sales associate at a local clothing boutique. She expected to stay on Nantucket for only three months, but couldn’t be happier her short excursion to the island has been prolonged. Olivia graduated from Williams College in June of 2017, where she was a member of the Women’s Swim and Dive team. She swam all four years at Williams, competing every year at the Division Three National Collegiate Athletic Association (NCAA) swimming championships. She is a 15-time All-American, was a scholar All-American her senior year, and set a Division Three National Record in her final collegiate swim. Despite hanging up her goggles last spring, she now helps coach the Nantucket Dolphins club swim team part time. For a copy of Egan Maritime's 2017 Annual Report, please call the Administrative Office at (508) 228 - 2505.